The property is situated on the eastern side of Palace Gardens Terrace, close to the junction with Kensington Mall, just to the west of Kensington Gardens. Notting Hill Gate underground (Central, Circle, District Lines) is close by. View property map. 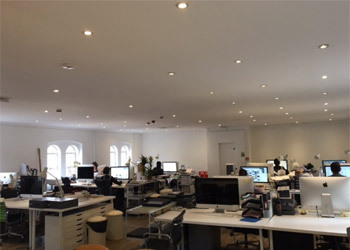 The property comprises a private, self-contained, first floor open plan office within a listed period building which is the headquarters of a leading architectural practice. Floorplan available on request. A new underlease is available for a term expiring 10th March 2020, to be taken outside the security and tenure and compensation provisions of the Landlord & Tenant Act 1954. A longer sublease may be available subject to negotiation with the Head Landlord. A service charge is levied to cover all other property outgoings including utilities, building insurance, business rates - currently running at £33,000 pa total. Each party to bear their own legal costs in connection with the grant of the lease; head lessor to bear costs arising from landlord’s licence to underlet. Rating 113 - Band E: copy EPC and recommendations on request.